The Chilean road authority Ministerio de Obras Públicas (MOP) has implemented several initiatives to improve road safety within the South American country. One of first was the adoption of the European standard (EN 1317) for safety barriers on the Chilean road network. Tecnovial, a long-term customer of ArcelorMittal South America, is one of the main manufacturers of road safety barriers in Chile. To meet the new requirements, Tecnovial needed to develop a high-containment (H2 level) barrier system which can contain and redirect vehicles weighing up to 13 tonnes. 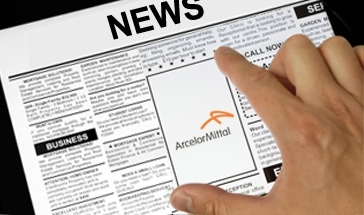 Technical development of the new barrier solution was carried out by CRM Group’s AC&CS (Advanced Coatings & Construction Solutions) department, a strategic partner of ArcelorMittal’s Global R&D division. During the development process AC&CS relied on Tecnovial’s experience in safety barrier production to design a cost-effective solution that fits the requirements of the Chilean market. Work on the new barrier started at the AC&CS research centre in Liège (Belgium) in late 2015. S420MC meets the EN 10149-2 standard and offers the best combination of strength and formability for this application. By choosing a steel suitable for cold-forming, AC&CS ensured that the new barrier could be produced using Tecnovial’s existing equipment and processes. ArcelorMittal recommended that the high strength steel used in the new barrier should be coated with Magnelis®, a unique protection solution which can extend the life of safety barriers significantly. Tecnovial was familiar with Magnelis®, having been introduced to the coating in 2014 by ArcelorMittal. Significantly lower zinc runoff to soil compared to traditional galvanisation solutions. The last requirement meets new Chilean environmental regulations on soil protection. As Chile is a major exporter of food and wine, the government has introduced strict regulations to control soil pollution. Magnelis® is the right corrosion protection solution as it ensures durability and preserves the environment. Once the design of the barrier was completed, AC&CS used advanced calculation tools to numerically test various impact scenarios. AC&CS engineers also tested individual components to ensure their mechanical performance was fully understood. Using this very detailed modelling approach, AC&CS could optimise the barrier design and accurately predict crash-test performance. By February 2016, the new road safety barrier was ready for real-life tests. An 80-metre section of the barrier was installed at the CSI crash-test centre in Bollate (Italy). The barrier was then tested by CSI to ensure it passed the TB11 and TB51 tests specified in EN 1317. TB11 requires a small car (900 kg) to be driven into the barrier at an angle of 20° and speed of 100 kilometres per hour (km/h). By contrast, TB51 requires a 13-tonne bus to be driven into the barrier at the same angle, and a speed of 70 km/h. The barrier passed both tests, enabling it to be CE certified. This was a first for a road safety barrier developed in cooperation with a Chilean company. Tecnovial has already introduced its new H2 safety barrier on the Chilean market. The combination of high strength steel, Magnelis®, and European certification is leading to widespread interest in the new barrier across Chile. Tecnovial also presented the new barrier with ArcelorMittal and AC&CS during the PROVIAL international road maintenance fair held in Chile during August 2016. The barrier was well received by government officials, construction companies, and other visitors to PROVIAL. Magnelis® is a metallic steel coating made from zinc, aluminium, and magnesium. Magnelis® protects the underlying steel against corrosion, while maintaining the high mechanical properties of the metal. Developed by ArcelorMittal researchers, Magnelis® has a special self-healing capability, which enables cut edges to autonomously protect themselves against corrosion in the field. In 2014, Magnelis® received an award in the Infrastructure category at the Intertraffic fair in Amsterdam.